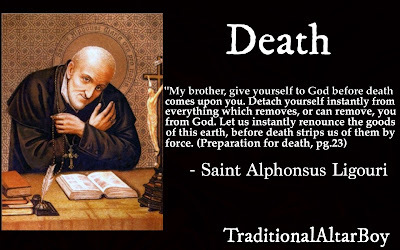 Excerpted from "On Impurity" by St. Alphonsus Liguori. May we be inspired by these holy words to conquer all of these temptations, which much afflict us in this era. Lord have mercy! St. Peter calls this vice an unceasing sin. ”Having eyes full of adultery and sin that ceaseth not.” (2 Pet. ii. 14.) Impurity is called an unceasing sin on account of the obstinacy which it induces. Some person addicted to this vice says: I always confess the sin. So much the worse; for since you always relapse into sin, these confessions serve to make you persevere in the sin. The fear of punishment is diminished by saying: I always confess the sin. If you felt that this sin certainly merits hell, you would scarcely say: I will not give it up; I do not care if I am damned. But the devil deceives you. Commit this sin, he says; for you afterwards confess it. But, to make a good confession of your sins, you must have true sorrow of the heart, and a firm purpose to sin no more. Where are this sorrow and this firm purpose of amendment, when you always return to the vomit? If you had had these dispositions, and had received sanctifying grace at your confessions, you should not have relapsed, or at least you should have abstained for a considerable time from relapsing. You have always fallen back into sin in eight or ten days, and perhaps in a shorter time, after confession. What sign is this? It is a sign that you were always in enmity with God. If a sick man instantly vomits the medicine which he takes, it is a sign that his disease is incurable. 11. St. Remigius writes that, if children.be excepted, the number of adults that are saved is few, on account of the sins of the flesh. ”Exceptis parvulis ex adultis propter vitiam carnis pauci salvantur.” (Apud S. Cypr. de bono pudic.) In conformity with this doctrine, it was revealed to a holy soul, that as pride has filled hell with devils, so impurity fills it with men. (Col., disp. ix., ex. 192.) St. Isidore assigns the reason. He says that there is no vice which so much enslaves men to the devil as impurity. ”Magis per luxuriam, humanum genus subditur diabolo, quam per aliquod aliud.” (S. Isid., lib. 2, c. xxxix.) 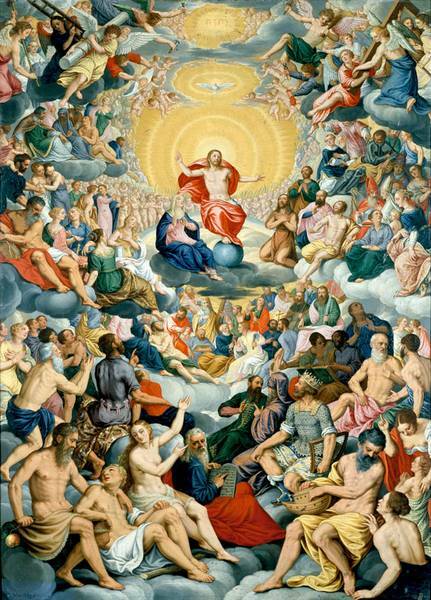 Hence, St. Augustine says, that with regard to this sin, ”the combat is common and the victory rare.” Hence it is, that on account of this sin hell is filled with souls. Thus, it is impossible for us to conquer this vice without God’s assistance. Hence, as soon as temptation against chastity presents itself, the remedy is, to turn instantly to God for help, and to repeat several times the most holy names of Jesus and Mary, which have a special virtue to banish bad thoughts of that kind. I have said immediately, without listening to, or beginning to argue with the temptation. When a bad thought occurs to the mind, it is necessary to shake it off instantly, as you would a spark that flies from the fire, and instantly to invoke aid from Jesus and Mary. 13. As to the flight of dangerous occasions, St. Philip Neri used to say that cowards that is, they who fly from the occasions gain the victory. Hence you must, in the first place, keep a restraint on the eyes, and must abstain from looking at young females. Otherwise, says St. Thomas, you can scarcely avoid the sin. ”Luxuria vitari vix protest nisi vitatur aspectus mulieris pulchræ.” (S. Thom. 1, 2, qu. 167, a. 2.) Hence Job said: ”I made a covenant with my eyes, that I would not so much as think upon a virgin” (xxxi. 1). He was afraid to look at a virgin; because from looks it is easy to pass to desires, and from desires to acts. St. Francis de Sales used to say, that to look at a woman does not do so much evil as to look at her a second time. If the devil has not gained a victory the first, he will gain the second time. And if it be necessary to abstain from looking at females, it is much more necessary to avoid conversation with them. “Tarry not among women.” (Eccl. xlii. 12.) We should be persuaded that, in avoiding occasions of this sin, no caution can be too great. Hence we must be always fearful, and fly from them. ”A wise man feareth and declineth from evil; a fool is confident.” (Prov. xiv. 16.) A wise man is timid, and flies away; a fool is confident, and falls. May God bless you all. 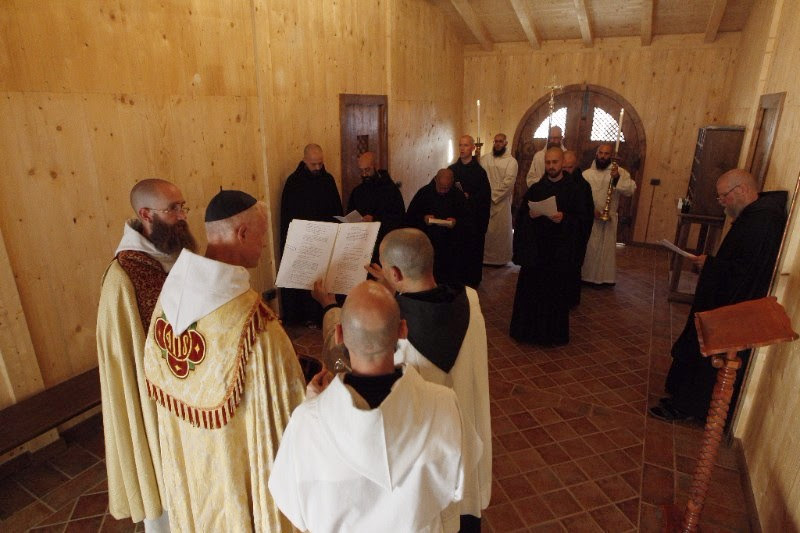 Keep praying for us, please, as this first step was only the first of many, as we continue to work tirelessly to restore monastic life here in Norcia, the birthplace of St. Benedict. 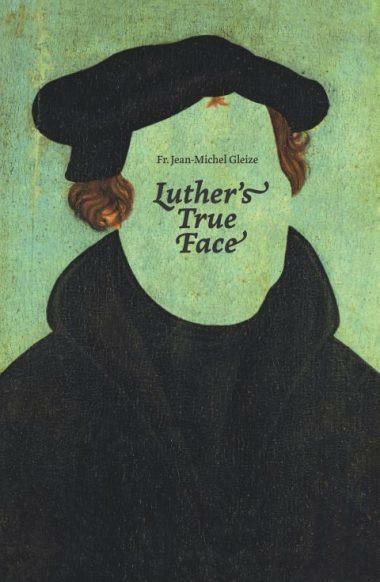 “Luther’s True Face”, written by Fr. 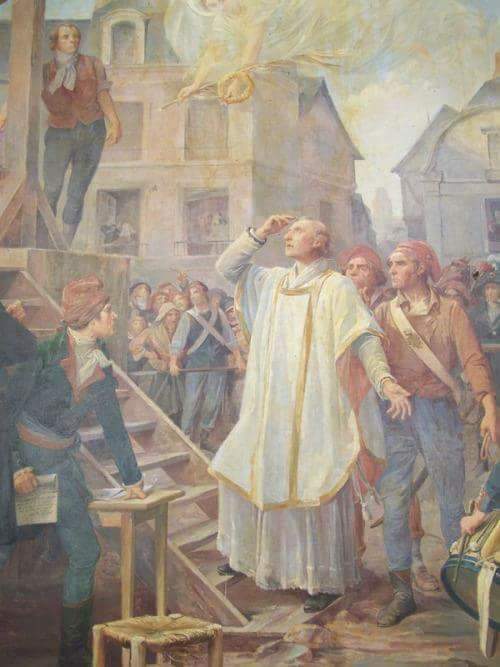 Jean-Michel Gleize of the Society of St. Pius X, raises historical facts too often forgotten by Catholics and Protestants alike. What was Luther’s career before 1517? How long was the “shortest seminary formation in history”? Why and how did he form his Protestant doctrine? What was the situation in the Church at the time? All these questions and more receive clear answers in Thomist precision and Aristotelian logic. Bishop Bernard Tissier de Mallerais wrote a special preface for the first English edition. The book, at an acessible 160 pages, includes short appendices, including Pope’s Pius XI encyclical “Mortalium Animos” on religious unity. This approachable synthesis, based on sound sources, given in objective way, makes “Luther’s True Face” a must read for both Catholic and Protestants. October 31, 2017 marks the 500th year anniversary of the famous episode (and birth of the Protestant revolution), when Luther nailed his 95 theses to the door of the Church of Wittenberg. Naturally, the revolutionaries have every reason to celebrate. But what is utterly shocking is that Catholics have joined their celebration. Even Pope Francis participated in the 500th anniversary of this revolution. This "is quite simply a scandal" (p.12). The St. Thomas Aquinas International Institute for Catholic Apologetics was founded in Poland in 2007. 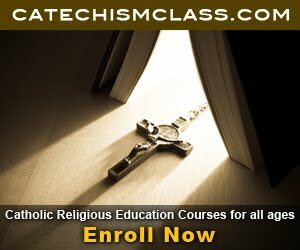 Its activity focuses on organizing conferences and distributing information to strengthen the Catholic Faith in dark times of doctrinal confusion and apostasy. 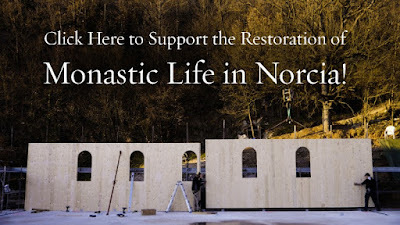 Within the last ten years it has succeeded in forming a devoted international team of scholars, linguists, priests and laymen, skilled in theology, philosophy, and history, for the defense of the revealed truth through sound books and conferences. While today is the Feast of Pope St. Linus, the first Successor to St. Peter, today is also the Commemoration of St. Thelca. St. Thelca was a a native of Iconomium who was so impressed by the preaching of St. Paul on virginity that she broke off her engagement to marry Thamyris to live a life of virginity. St. Paul was ordered to be scourged and banished from the city for his teaching, and St. Thecla was ordered burned to death. When a storm providentially extinguished the flames, she escaped with St. Paul and went with him to Antioch. Here she was condemned to wild beasts in the arena when she violently resisted the attempt of Syriarch Alexander to kidnap her, but again escaped when the beasts did no harm to her. She rejoined St. Paul at Myra in Lycia, dressed as a boy, and was commissioned by him to preach the Gospel. She did for a time in Iconium and then became a recluse in a cave at Meriamlik near Seleucia. She lived as a hermitess there for the next seventy-two years and died there (or in Rome, where she was miraculously transported when she found that St. Paul had died and was later buried near his tomb). 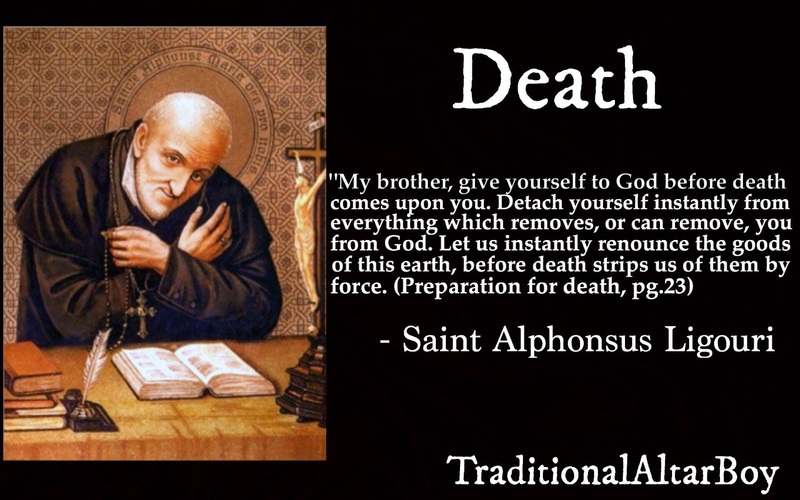 This legend had tremendous popularity in the early Church but is undoubtedly a pious fiction and was labeled apocryphal by St. Jerome. However, St. Thelca did exist adn we invoke her patronage today even if there is doubt on some of the aspects of this pious legend that was recounted in the Acts of Paul and Thecla. Grant, we beseech Thee, almighty God, that we who honor the heavenly birthday of blessed Thecla, Thy Virgin and Martyr, may both rejoice in her yearly festival and profit by the example of so great a faith. Through our Lord. Each year the Holy Church recalls on September 22nd the life of Ss. Maurice and Companions. 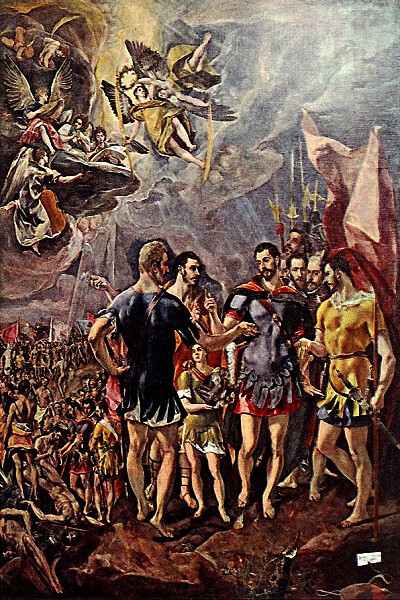 When the Emperor Maximian led his army into Gaul, the Theban Legion composed of 660 soldiers under the command of St. Maurice, refused to take part in the ceremonies in honour of the gods. 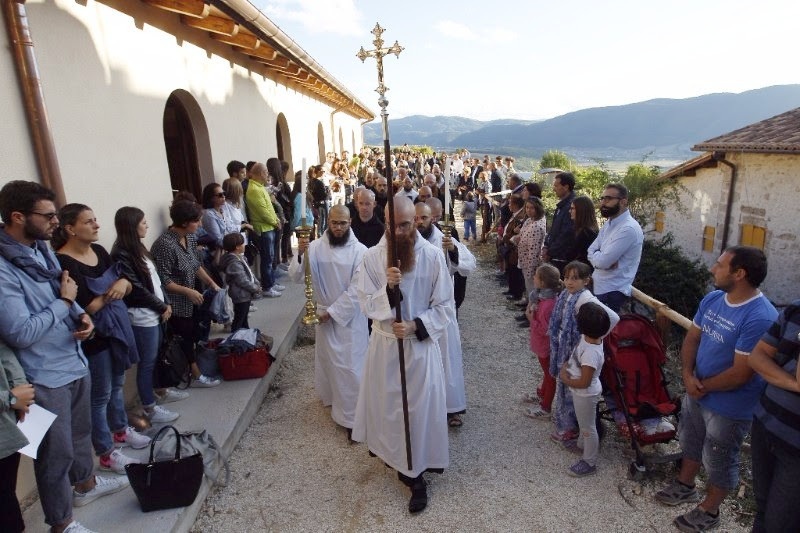 They were massacred out of hatred for the name of Christ, about 286, at Agaunum, now called St. Maurice (Valais, Switzerland), which is near Lake Geneva, Switzerland. O Almighty God, let the solemn feast of Your holy martyrs Maurice and his companions fill us with joy. May we glory in their feast, as we also rely on the power of their intercession. Through our Lord . . .
Before St. Matthew became an Apostle, he was a publican or, more colloquially, a tax collector. 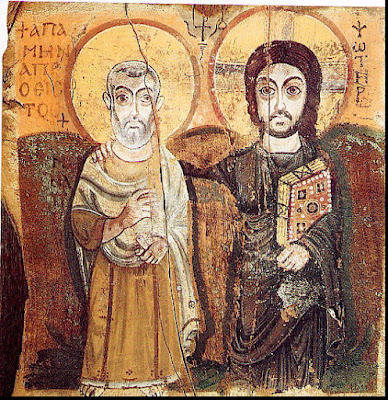 St. Matthew may have worked for the Roman Empire or for Herod Antipas. The Roman Empire collected taxes indirectly by farming out the collection process to members of the rich Equestrian class. These Equestrians bought the right to collect taxes at public auctions. The taxes were then deposited in the Roman Treasury while the Equestrians hired local men to collect the taxes from the district’s inhabitants. Anything over the agreed amount of taxes was income to the Equestrians with the local tax collector also collecting his percentage of the earnings. Corrupting elements were built into every transaction. Publicans were in the same class as heretics and offenders against the Church. 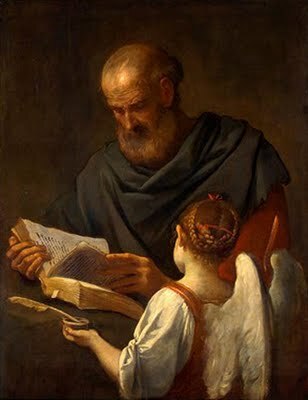 Of course, this is not to say that St. Matthew himself was dishonest or tyrannical as he went about his tax-collecting. It is, however, a measure of his ambition or his need for money that he was willing to take a job that was despised by the rest of the inhabitants of Galilee. The Gospels tell us that St. Matthew did well too – well enough to host a banquet for many of his friends when he decided to follow Jesus. It is even more remarkable then that he walked away from his lucrative if unsavory occupation and towards Jesus when Christ called him. Learn more in Frances Spilman's book "The Twelve: Lives and Legends of the Apostles"
O Lord,may the prayers of the blessed apostle and evangelist Matthew help us to obtain the graces we ourselves cannot acquire by our merits. Through our Lord . . .
St. Eustace was a distinguished Roman officer. He owed his conversion to the vision of a stag with a crucifix between its antlers, seen by him while he was hunting. His wife and their two sons became Christians at the same time. 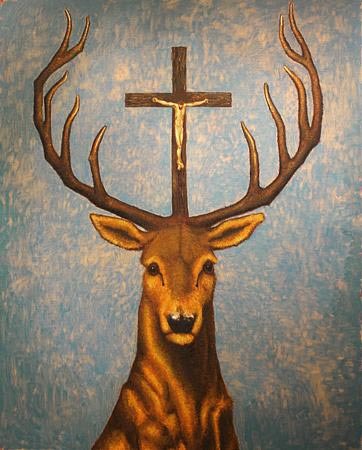 In about the year 120 AD, St. Eustace and his wife and two children, after undergoing many cruel tortures, were martyred for having refused to offer sacrifice to false gods. O God, who granted us the grace to celebrate the birthday of Your blessed martyrs Eustace and companions, grant that we may also share their eternal happiness in heaven. Through our Lord . . . Remember that this week contains the Fall Ember Days. 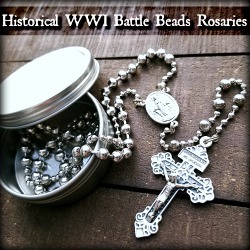 Catholics have forgotten this ancient and venerable tradition! Wednesday, Friday, and Saturday - mark your calendars! Up until the late 1960s, Catholics between the ages of 21-59 were bound to the Laws of Fast on these days; those who have reached their 7th year or older were bound by the law of abstinence. The Ember Days were instituted for a good harvest and to draw down God’s blessings upon the September ordinations. Pray for priests! Join in this ancient fasting, abstinence, and prayer tradition beginning today on Wednesday and then again this upcoming Friday and Saturday as penance. On September 19, 1846, the Blessed Mother appeared to two young people at La Salette, France. Both of the children, Maximin Giraud, age 11, and Melanie Calvert, age 15, along with the local villagers, had become lax in prayer and participation in the Sacraments. Mary appeared only once to the children. Through tears, she called for a renewal of faith. Specifically, she warned that those who did not obey the commandment to keep holy the Sabbath Day and to honor our Lord, were causing Jesus great pain. This vision and message was received and taken to heart by thousands of people, as word of the vision spread. La Salette brought a revival of faith during a time when such renewal was greatly needed. Unlike the visionaries of Lourdes, Fatima, Guadalupe and elsewhere, the visionaries at La Salette struggled and could not seem to adjust to instant fame and intense scrutiny. Both of the visionaries wandered from place to place and seemed to flounder throughout the rest of their lives. Within the walls of the Monastery of Our Lady of the Rosary in Summit, New Jersey, rows of simple crosses mark the graves of sisters who have gone before. It’s a potent symbol of life in the monastery, where women enter cloistered life intending never to leave, even in death. 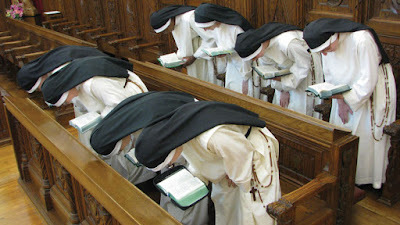 These Dominican nuns have been in this place of peace for almost 100 years, sustaining the Church every day through their prayer and devotion. And while many religious orders are facing an aging religious population and steady decline, these sisters have seen the opposite trend. In the past 10 years, 12 new women have entered the life, seven have stayed, and a steady stream of new young women visits to discern whether or not this is the life for them. Today the Catholic Church commemorates two friends in the service of Christ and his Church who are mentioned in the Roman Canon of the Mass. 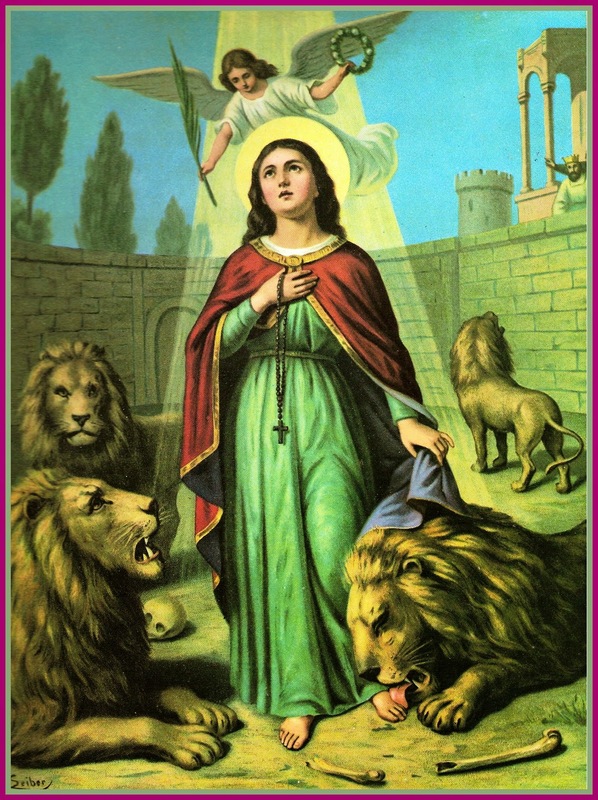 "At Chalcedon," says The Roman Martyrology, "the birth in Heaven of Saint Euphemia, Virgin and Martyr, who was condemned to the wild beasts." This happened in 307 A.D. "At Rome, The Holy Martyrs Lucy, a noble lady, and Geminianus, who were beheaded by order of Emperor Diocletian, about 300 A.D.
O Lord, let the prayers of Your blessed martyr bishops Cornelius and Cyprian, whom we honor today, gain us Your protection. Through our Lord . . . HE was a holy priest at Rome, who was apprehended in the persecution of Domitian for his assiduity in assisting the martyrs in their conflicts, and for interring their bodies. Refusing constantly to sacrifice to idols, he was beaten to death with clubs about the year 90. His tomb was on the road to Nomento, and he is commemorated on this day in the sacramentary of St. Gregory the Great, and in the Martyrologies of St. Jerom, Bede, &c. See the Acts of SS. Nereus and Achilleus. Stay close to Your people, O Lord, so that the brilliant merits of Your blessed martyr Nicomedes may help us, and his prayers win for us Your unfailing mercy. Through our Lord . . .
September 11th is the Feast of Ss. Protus and Hyacinth. May the glorious profession of faith of Your blessed martyrs Protus and Hyacinth strengthen us, O Lord, and may the power of their intercession shield us. Through our Lord . . .
Pope Francis has issued a motu proprio Magnum Principium, a modification of Canon Law 838, which grants bishops’ conferences greater control over the translation of liturgical texts. This includes the power to make adaptations which the bishops deem appropriate for their regions. 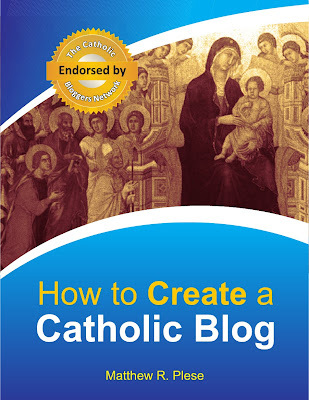 Until now, Canon 838 (§1) stated that "The direction of the sacred liturgy depends solely on the authority of the Church, namely, that of the Apostolic See." Paragraph §2 said: "It is for the Apostolic See to order the liturgy of the universal Church," but now the Apostolic See has the task of "recognizing adaptations approved under the law of the Episcopal Conference." (§2) In other words, the power of the Curia is reduced from authorizing to approving texts that are generated by episcopal conferences. Paragraph §4 makes it clear that the pope has now given bishops the power to determine much of the Church's liturgical direction. "Within the limits of his competence, it belongs to the diocesan bishop to lay down in the Church entrusted to his care, liturgical regulations which are binding on all." This opens the door, not only to greater liberty in translating liturgical texts, but to creativity in drafting their own texts. What we are seeing is a further attempt to pull the Catholic world away from the Church's centralized authority and have a whimsical free-for-all. 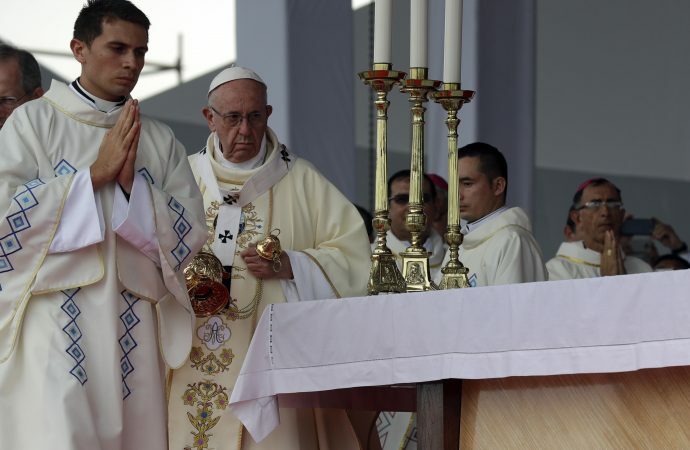 Francis himself, on October 17, 2015, called for a "healthy decentralization" of power in the Roman Catholic Church, including changes in the papacy and greater decision-making authority for local bishops, so this latest motu proprio is part of his plan to execute this decentralization. It calls to mind the subversive designs of Mgsr. Annibale Bugnini—the key liturgical planner of Vatican II and principal architect of Sacrosanctum Concilium—as he relayed them to Masonic Grand Master Licio Gelli in a *letter dated July 2, 1967: "The greatest liberty was given to choose between the various formulas, to individual creativity, and to chaos!" 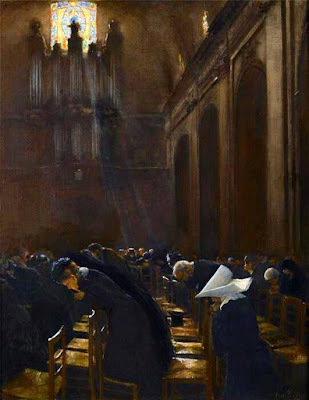 Under the pretext of making the Faith more accessible to the laity, the enemies of the Church introduced vernacular at Vatican II for the purpose of rendering the Church secular and divided, as opposed to holy and universal. It appears that Rome is now going the full nine yards with this plan. However, if holiness, unity, and crystal clear communication from God to man is what Francis aspires for, he will promptly scrap these modernist trappings and return the Mass to its original formula in the Latin Tridentine Rite—the formula which accomplished this perfectly through the centuries. This is what Pope Benedict XVI aspired for during his active pontificate, so why shouldn't Francis? The irony of all this liturgical updating is that Latin—the very thing that modernists despise—is all too conveniently used as a tool to pull the faithful away from their Latin heritage. Perfidious documents such as the latest are published in Latin to make them appear "religious," but is this not Pharisaic? Vatican bureaucrats should at least have the decency to publish their revolution in their own Esperanto and reserve Latin for the holy things of God. *This correspondence is taken from Andrea Tornielli's Dossie Liturgia Uma Babel Programada, that appeared in the June 1992 issue of 30 Days. September 4th is the Feastday of Blessed Agnes of Bagno. 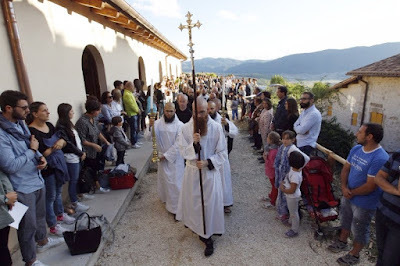 Blessed Agnes was a 12th century Camaldolese nun at Santa Lucia near Bagno di Roma in Tuscany (modern day Italy). Her shrine is at Pereto. She was a friend of Blessed Joan of Bagno di Romagna. Devotion to Blessed Agnes of Bagno was confirmed in 1823 but she is not listed in the Roman Martrology. May we never forget the lives of these lesser known saints whose lives can still serve as great inspiration for all of us. Source: The Book of Saints: A Comprehensive Biographical Dictionary by Basil Watkins. 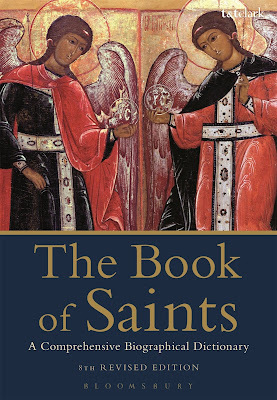 Now fully revised and updated The Book of Saints is a comprehensive biographical dictionary of saints canonised by the Roman Catholic Church. It contains the names of over 10,000 saints, including all modern ones, with significant information about their lives and achievements. Each section begins with an illustration of a particular saint, and the volume includes a list of national martyrs, a bibliography, and a helpful glossary. While a feria day on the Universal Calendar, today is in some local calendars the Feast of St. Rose of Viterbo. Almighty God did marvelous things in the soul of Saint Rose of Viterbo. It appears that her parents gave her that name by divine inspiration, for it was symbolic of her entire career. As long as she lived, she bloomed like a sweet-scented rose in the garden of the Church, and in full bloom as she was transplanted to Paradise. Before she was able to speak, Saint Rose attempted to pronounce the sweet names of Jesus and Mary; and as soon as she had learned to walk, she asked to be taken to church and to other retired and quiet places to pray. When religious discourses were given, she would listen with great attention. When Saint Rose was only 3 years old, God showed how pleased He was with her in a most wonderful way. One of her maternal aunts died. The family were standing around the bier weeping aloud. Deeply moved by the sorrow of her relatives, little Rose went to the coffin, raised her eyes to heaven, and prayed silently. Then she placed her little hand on the body of her deceased aunt and called her by name. The dead woman immediately opened her eyes and reached out to embrace her little niece, who had raised her to life again. The child entertained a great compassion for the poor; she always tried to save some food to give to the poor. One day when she left the house with some bread in her apron, she met her father, who asked her in curt fashion what she was carrying off now. The frightened child opened her apron and fragrant roses were found in it. When she was 7 years old, Saint Rose of Viterbo retired to a little cell in her father's house. There she spent almost all her time in contemplation and in practicing rigorous penance. She prayed much for the conversion of sinners. Meanwhile our dear Lord was preparing her for an extraordinary mission. 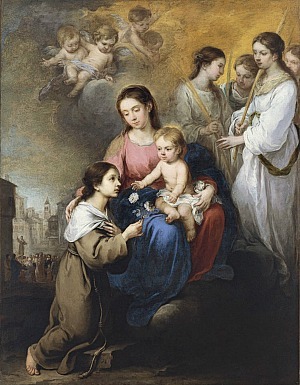 St Rose was not yet 10 years old when the Blessed Mother of God instructed her to join the Third Order of St. Francis. Shortly after, our Lord appeared to her on the Cross, wearing the crown of thorns on His head and bleeding profusely from all His wounds. St Rose, aghast at the sight, called out: "O my Lord, who has reduced Thee to this state?" Our Lord replied, "My love, my deep love for men has done this." "But," asked Rose, "who has so pierced and torn Thee?" "The sins of men have done it," was our Lord's answer. "Sin, sin!" cried the saint, and she scourged herself to make atonement for the sins of the world. By divine inspiration, Rose then took a cross in her hand and went up and down the streets and public squares of her city telling people of the terrible tortures our Lord suffered and of the heinousness of sin. Every now and then she would emerge from her solitude to entreat the people to do penance. The town of Viterbo, which belonged to the Papal States, had revolted against the authority of the pope. Disregard for religion and moral degradation were the order of the day. But the sermons of this little missionary had marvelous results. The people came in crowds to hear her. The stone on which she stood was seen to rise in the air, and she was sustained there by a miracle while burning words issued from her lips. The greater part of the citizenry had already resolved to do penance and to return to the legitimate papal allegiance when Saint Rose of Viterbo and her parents were repelled by the civil authorities. The result was that she now had a wider field of activity. At Soriano and later at Vitorchiano, her preaching had the same blessed results. In the latter place, a sorceress had done much harm among the inhabitants. Fearing that after her departure this woman would undo the good effected there, Rose was desirous of her conversion. Her initial efforts failed. Then our saint had an immense pile of wood prepared in the public square; fire was set to it, and Rose stepped into the fire and mounted to the top of the pile. She remained untouched for three hours in the midst of the flames, singing the praises of God. The sorceress now cast herself at Rose's feet and was sincerely converted. Meanwhile the rightful authority of the pope had been re-established at Viterbo, and Rose could return. She was now 15 years old and anxious to enter the convent of the Poor Clares. As she had no dowry, she could not be admitted. "Well," said Rose, "you will not receive me while I am alive, but you will receive me after I am dead." She and several companions repaired to a secluded dwelling, where they intended to live as a community. The ecclesiastical authorities, however, did not approve of the plan, and Rose returned home. She died 2 years later, filled with the joyous desire of being united with her God. Two and a half years after her death she appeared three times to Pope Alexander IV, who was in Viterbo at the time, and told him to have her body removed to the convent of the Poor Clares. When this was done, her body was found incorrupt; and it has remained in that condition to this day. Miracles are constantly occurring at her tomb. Pope Callistus III canonized her in 1457. Although her skin is dark, the body of the saint is still flexible and the internal organs in good condition. In 1921 the heart was removed to be placed in a reliquary for a procession, and it was found to be unblemished and perfectly intact at that time. The "Holy Twelve Brothers" refer to the fourth-century apostles who refused to offer sacrifice to pagan gods. 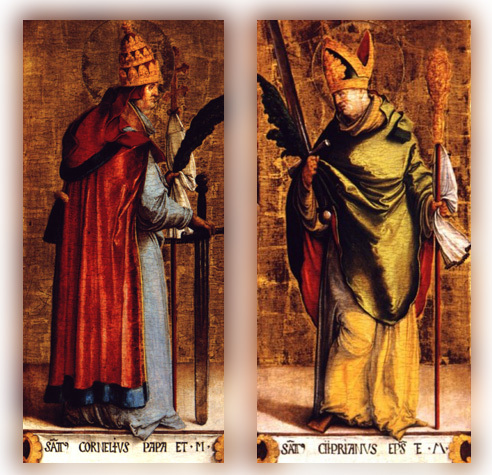 Africans by birth, these saints were martyred in various places in the third century under the Emperors Diocletian and Maximian. Four were beheaded in Potenza, Italy on August 27. Three were beheaded at Vanossa on August 28. The others were beheaded at Sentiana on September 1. They were brought together and enshrined at Benevento in 760. 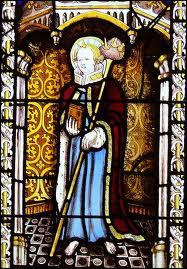 Today is also the Feast of St. Giles. 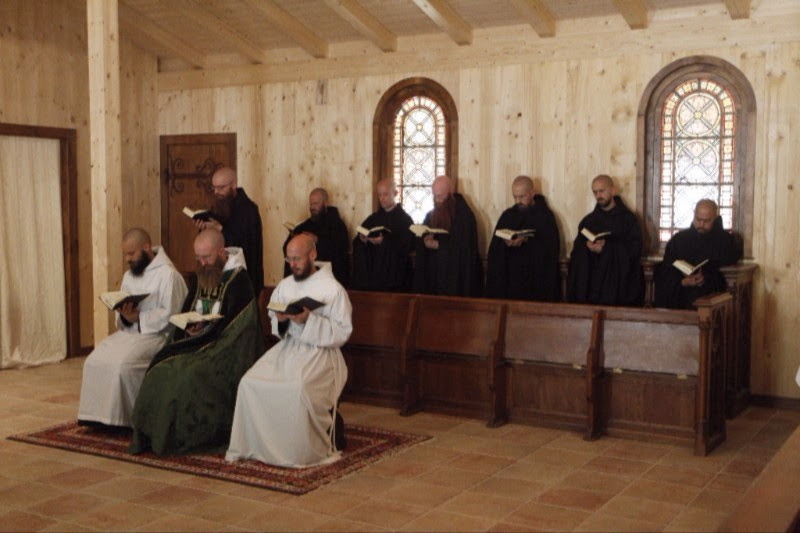 O Lord, may the martyrdom of these brothers warm our hearts with joy, enliven our faith by an increase of virtue, and comfort us by the added number of intercessors we have in heaven. Through our Lord . . .